Liesa Harrison has participated in many aspects of Utah’s business and economic development. Prior to joining Colliers International, Liesa has been an associate with Tim Simonsen since 2013. As a licensed real estate professional since 2008 she quickly recognized that her skills in business and problem solving were best suited in the commercial real estate realm, specializing in retail and investments. Liesa began her real estate career as a Residential Agent, she enjoyed her time at Coldwell Banker Residential Brokerage. Her focus was helping new home buyers find their first home. During her time there she completed the Journey to mastery program and continues to apply those skills. Liesa was the owner and operator of her own professional photography company where she quickly acquired the acumen of how to build productive relationships with clients, resolve complex issues, and win customer loyalty. Liesa has been acknowledged for her unwavering commitment in providing exceptional customer service and she is able to take on multiple projects and bringing them all to full function. 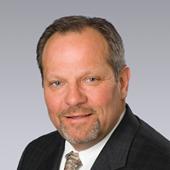 Tim Simonsen is a 37-year veteran of the real estate industry whose diverse experience encompasses sales, leasing, development, property management and finance. His extensive knowledge of the business is drawn from involvement in thousands of transactions, many of which required creative and innovative strategies. Simonsen is well versed in the nuances of both the buying and selling sides of real estate and has widespread experience in tenant representation and as a landlord’s agent for numerous shopping center and land listings. The importance of building relationships has formed the foundation of his career as a retail specialist. Tenants, landlords, developers and investors need not only proficiency and experience in their real estate representatives, but the ability to trust and depend on an agent to represent their best interests. His network of relationships with decision makers on both a local and national level ensures that tenants have the best representation available. Tim is adept at providing the most accurate market information available to his clientele. He is well acquainted with the intricacies of market cycles and his experience allows him to anticipate and perceive possible problems before they occur. For the past 25 years, Tim has focused his energies on tenant representation, representing many national clients on a multi-state basis. He currently represents Cabela’s, Best Buy, JCPenney, Walgreens, KeyBank, Exxon, O’Reilly Auto Parts, Batteries Plus, At Home, Top Golf and Regis Corporation, some on an exclusive basis in multiple states, and many other retailers have relied on his abilities and knowledge to accomplish their real estate needs. A partial list of Simonsen’s client base includes Cabela’s World’s Foremost Outfitter, Target, Best Buy, Regis Corp., Exxon, Albertson’s, Smith’s Food & Drug, Sprint PCS, Taco Bell, Alert Cellular, PetSmart, OfficeMax, Checker Auto, Cricket Wireless, Payless Shoe Source, Winmar Company, Hallmark Cards, Key Corp., Cracker Barrel and numerous hospitality clients. With continued outstanding performance, Tim has earned distinction among his peers as well as his clients. He was recognized as the number-one producing agent in the world for Coldwell Banker Commercial in 2005, number one top producer in the Western Region and the number-one sales associate for the State of Utah. Tim was also recognized as the number-two producing agent globally for Coldwell Banker Commercial in 2006. In 2007, he was recognized as the number four producing agent globally for Coldwell Banker Commercial. In 2009, Coldwell Banker Commercial recognized him as the number one sales professional by specialty. He also has been recognized as Salesman of the Year for Prime Commercial Inc. in 1997, 1998 and 2001, as well as having received many other industry accolades throughout his career.